Rocky Dawuni walks the talk. Fist held high and dreadlocks flowing, the Ghanaian reggae artist is a rebel among rebels, tackling serious social issues with uplifting ballads and reggae rockers. All while working to challenge everything from infectious diseases to clean water to poverty across the rural communities of his homeland. On Hymns for the Rebel Soul, Dawuni’s infectious, groove-driven music refuses to play by the rules. He sings about the struggles against corruption, war, and despair, drawing on his own experiences while melding bluesy Motown horn lines with Afro-beat grooves and Arabic percussion. Add highlife afro-pop guitar mingled with polyrhythms and Scandinavian melodies and Dawuni re-imagines a fearlessly global, one-love reggae with contemporary African ingenuity. Let’s rewind a few decades to where Dawuni’s instinct to innovate emerged in the middle of an army camp under a military government. Under a dimly lit African sky, Bob Marley’s iconic “Uprising” album blares from P.A. speakers at an outdoor bar crowded with soldiers; a little boy takes note of the politically charged lyrics and a rebel is born. As music entwined with his passion for speaking truth to questionable power, he “went pro,” he says, as a young psychology student at the University of Ghana. “My first band was an accident,” he laughs. “In my first year, I met these four guys who were students there and musicians. Everyone was saying, ‘Why are we in the University if we want to be musicians? Why don’t we form a band?’” And the seeds were planted. 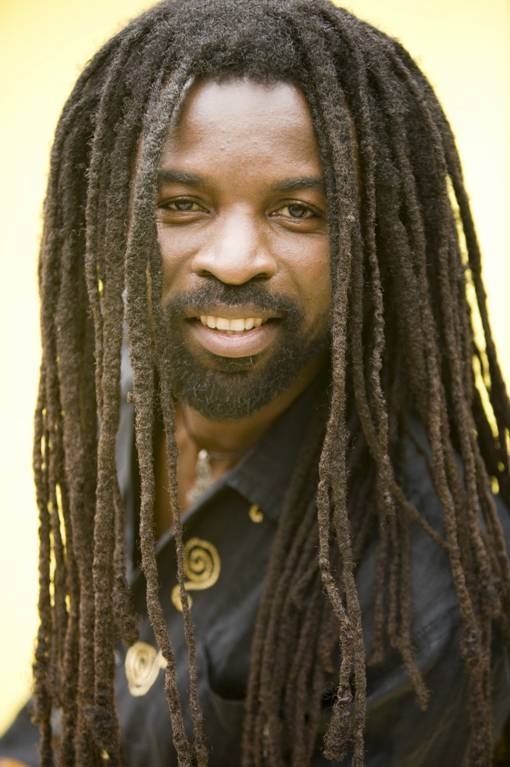 In the late 1990s he took the plunge, and soon Dawuni found himself traveling the world – ultimately releasing multiple CDs and working with musicians like Bono and Stevie Wonder, as well as providing music for U.S. television shows including Weeds, ER and Dexter. Continue reading the rest of this article here.